The weather is changing, and with fall nearly upon us, the temperatures are dropping and the evening air is even getting a bit nippy. It’s a time for gathering with friends and family and enjoying the changing of the leaves and the fast descent into the full holiday season that will soon be upon us. 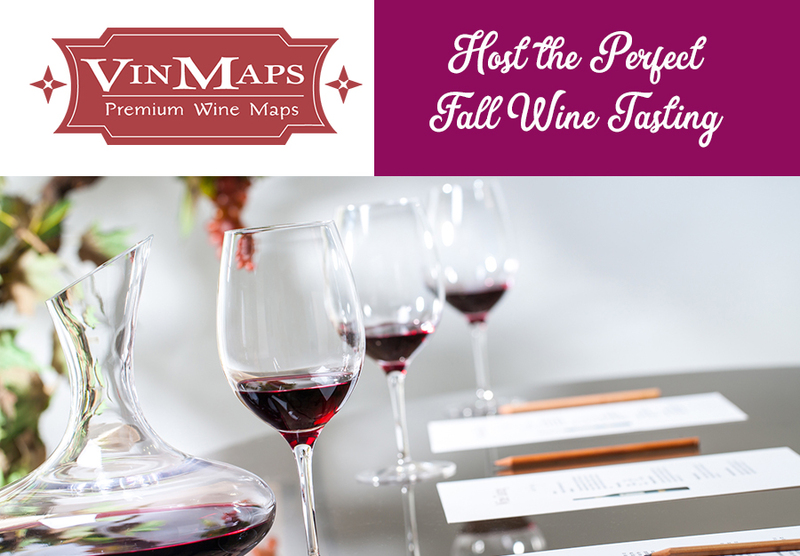 And there is no better time to host a wine tasting party that showcases the bounties of fall. Here are a few ways to make your fall tasting gathering an evening to remember. First things first, since this is a wine tasting, after all! To get your night started off on the right track, decide if you will be doing a bottle share or providing guests with the wine for the party. If you decide to share, be sure to set a price range for your guests so that they are comfortable with bringing in the right selection. If you decide to provide the bounty yourself, keep in mind that most wine stores (like Total Wine and More) will offer a discount on a full case (12 bottles) of wines. You’ll want to have wines from a variety of styles and locales on hand for a successful tasting, so lean on the expertise of a trusted sommelier for exciting new options and out of the box treats. Next you will want to decide how you’ll present the tasting. Will you leave the bottles out in full view so that guests may photograph the bottles or make tasting notes as they sip? You might consider putting out fun wine score cards and pens for guests to keep track of their tasting as the night progresses. Or maybe you will cover the labels for a blind tasting, so that guests can sample without preconceived notions of brand or style. With a blind tasting comes the fun of a very interactive tasting experience, and of course the excitement of the big reveal! 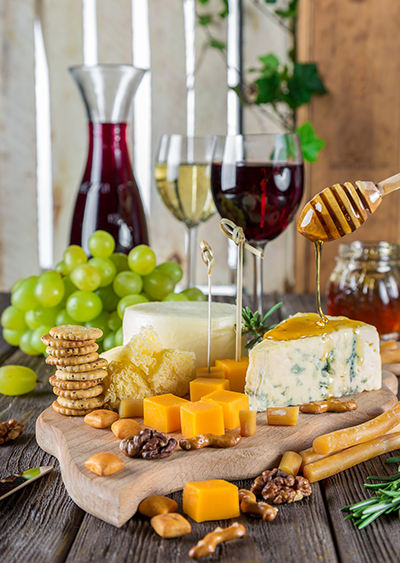 Depending on the styles of wine you choose to serve at your party, you might consider getting adventurous and sampling all of the bounty that fall foods have to offer. Try some earthy dishes with mushrooms or truffles; perfect for the fall that pair well with reds like a Pinot Noir. And if you like to go with tried and true cheese, try a twist on the traditional cheese and cracker plate and serve a toasted Italian cheese sandwich or bruschetta with a rosé, which pairs well with most any cheese. And for dessert, you cannot go wrong with a fall favorite fig delicacy, paired with a sweet sparkling wine, such as a Moscato D’Asti or Asti Spumante. Now that you have a plan for the perfect fall tasting gathering, the fun of choosing your wines can begin! We recommend visiting Total Wine and More, where the staff is keenly knowledgeable and ready to help you make the best selections for your party. 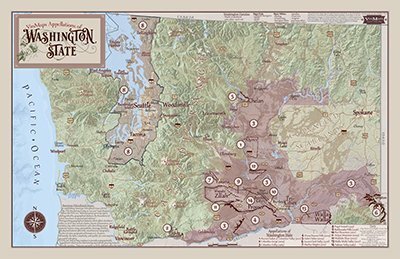 VinMaps is proud to have our custom wine maps used in the total Wine and More education rooms, and we might be biased, but we find a great perk to be their free wine tastings! 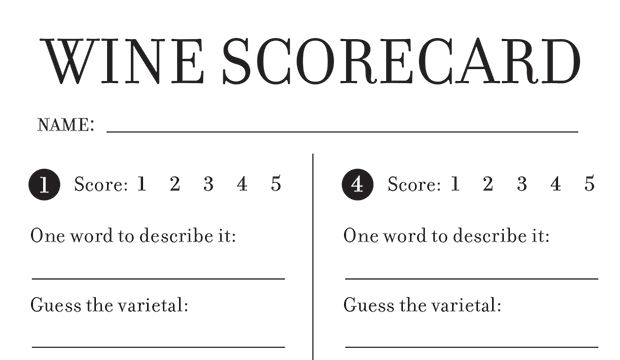 Wine Scorecard has 6 questions.